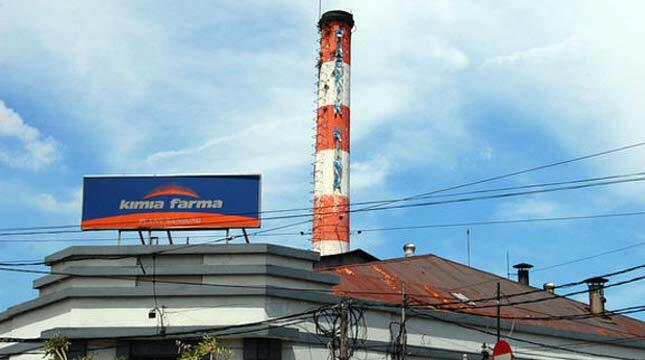 INDUSTRY.co.id - Denpasar - PT Kimia Farma (Persero) Tbk targets to produce around 30 million health test devices in a year or about 100 thousand per day at the new rapid test factory in Denpasar, Bali. According to Honesti, his side invested about Rp26 billion for production equipment and building construction which began to be built since August 2016 located at Jalan Cargo Taman II Denpasar area of ​​375 square meters. He describes the mass-produced health test equipment at the facility: pregnancy test kits (hCG), hepatitis (HBsAg), syphilis, malaria and dengue (IgG / IgM). Meanwhile, two medical testing instruments are under development ie HIV I and II and drug tests for morphine, cocaine, marijuana, amphetamine, methamphetamine, ecstasy and benzodiazepine. The resulting medical test product can be used to detect illness, medical tests for early medical examination using simple equipment and deliver results in quick time. Honesti adds the targeted market target of the government market by meeting the needs of the Ministry of Health through Disease Control and Environmental Health (P2PL) and private market by supplying medical tests for hospitals and clinics. Meanwhile Health Minister Nila Farid Moeloek as reported by Antara which inaugurated the production facility encourages state-owned pharmaceutical companies to improve the domestic market in order to meet domestic needs. Minister of Health also appreciated the development of production based on the development and research of the company so that it can produce the medical test equipment since the disease need to get more attention and handling because of its high contribution in donating the number of population death rate. "Hopefully in Bali that has been famous for the tourism industry, the future also became famous with the health equipment industry," he said.